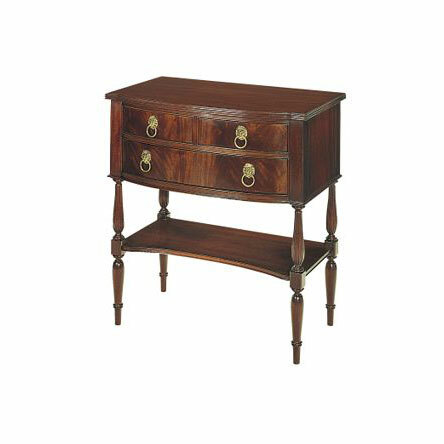 This Federal Side Table is reminiscent of Federal style tables by Duncan Phyfe. 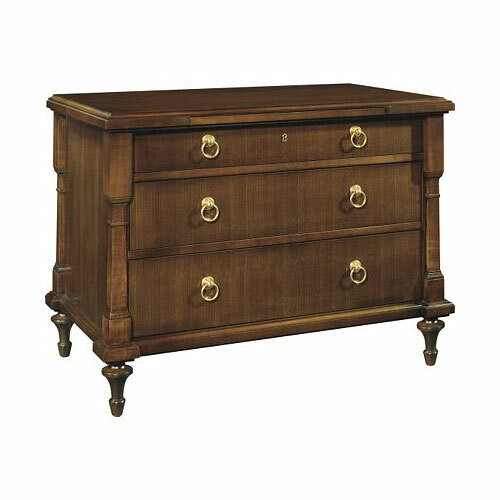 May be used as a nightstand, as a dining room serving table or living room side table. It features a bowfront top with a beaded edge. Swirl mahogany drawer fronts. 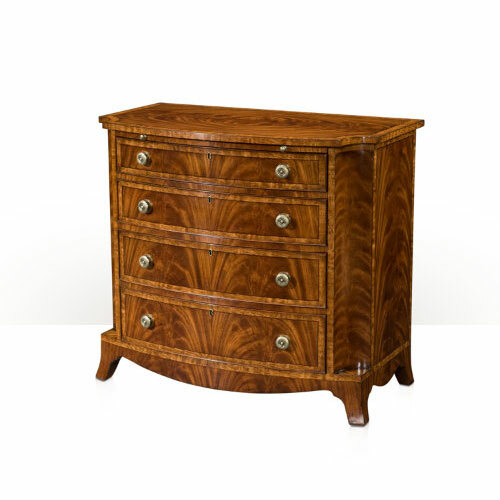 Turned and reeded legs. Standard in Medium Mahogany finish with solid brass hardware, it is also available in dozens of finish options and in Customer’s Own HardwareTM. 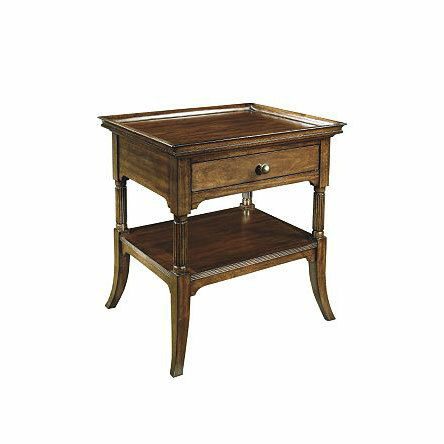 Also shown right in optional English Antique top with Parchment base (2908-70).